[01-01-2019] Video spawn icon does not respond. Last edited by Albus; 02-02-2019, 09:03 PM. New year ticket cannot be used. 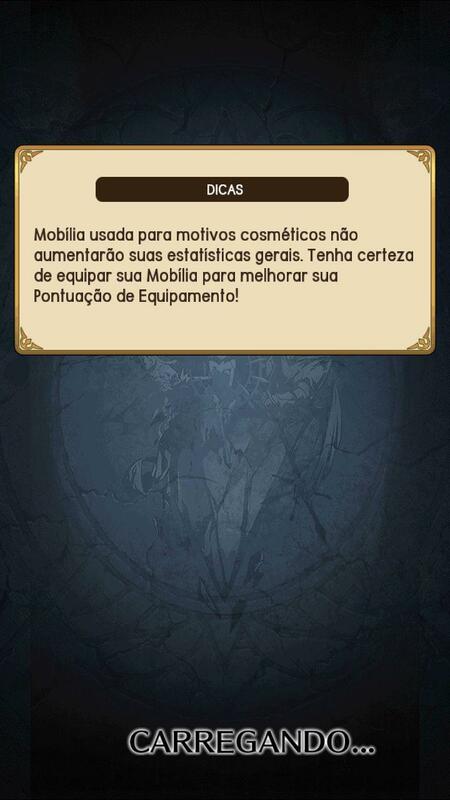 Description: After the crystal mission have ended, Everone got stuck on it, No Result screen, no Rewards, Nothing. We just stand there talking to eachother and stuff like that. Emergency maintenance is currently happening, so that's most certainly why this happened. 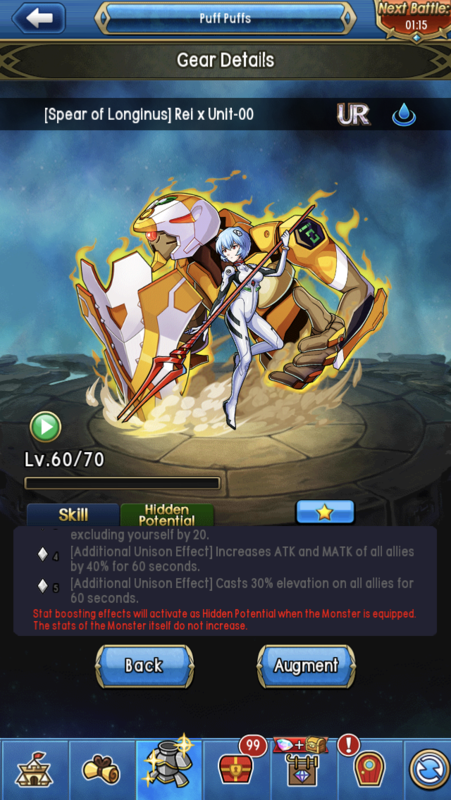 [1/11/2019] Screen stuck after unlocking a monster's hidden potential. Expected outcome: I am able to augment it. Current outcome: I am stuck on gear page after unlocking a hidden potential. 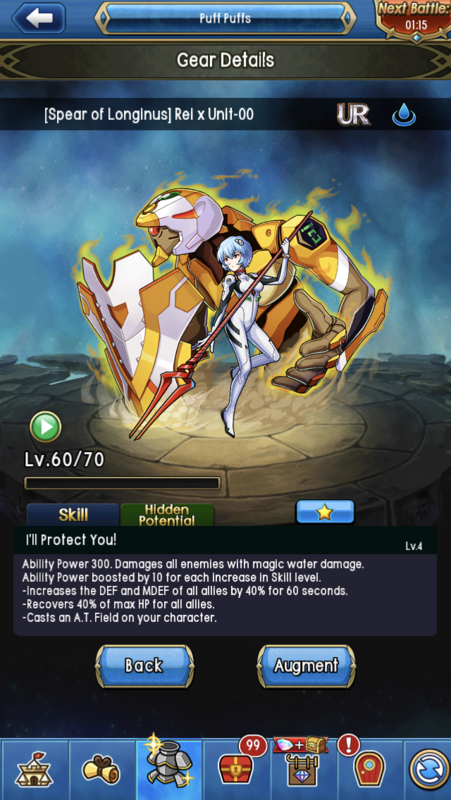 [1/13/2019] The ability defense stance also reduces healing ability power. Th healing power is decreased too by using defense stance, it doesn’t say that the healing ability decreases too. So. . . Do u think u can talk with the team by fixing this problem? 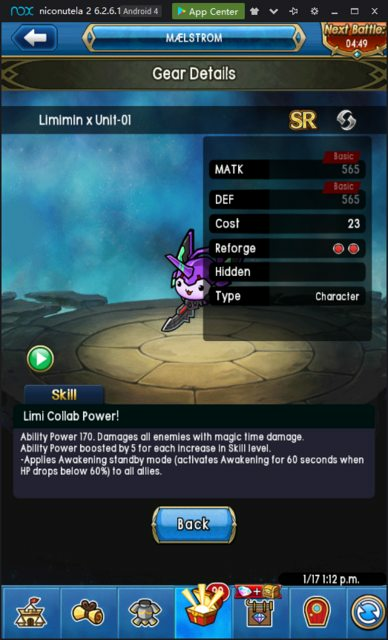 Or even changing description ability including healing power. Wth? It sent several times. . . Just don’t mind the others, there was an error while trying to post them. I apologize for inconvenience. 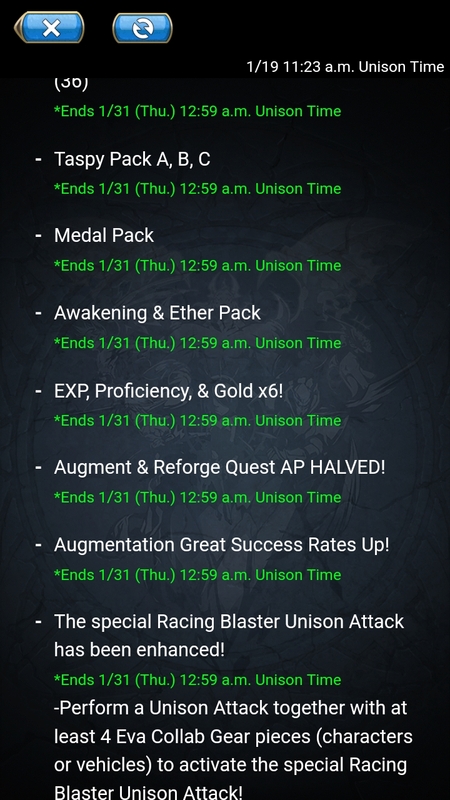 Did thing change after this week's maintenance? The Japanese is quite vague and loosely translates to something like 'reduces Ability Power taken'. The translation looks like it is trying to make sense of this by adding damage taken, but that dismisses Healing Ability Power. I'll see if we can get the description fixed. 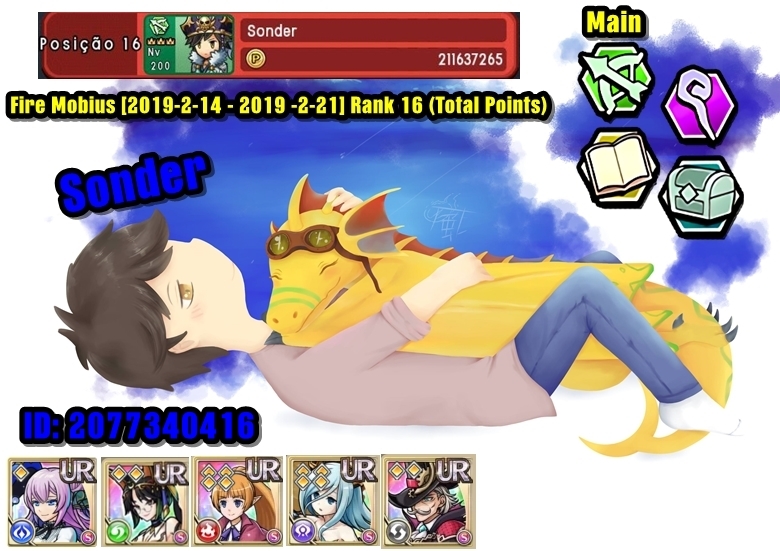 Last edited by niconutela; 01-17-2019, 02:38 PM. 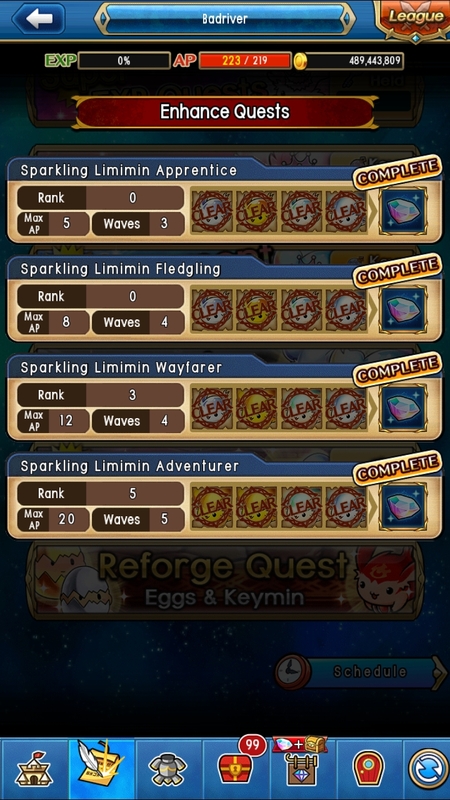 Thanks, looking into those Missions now. 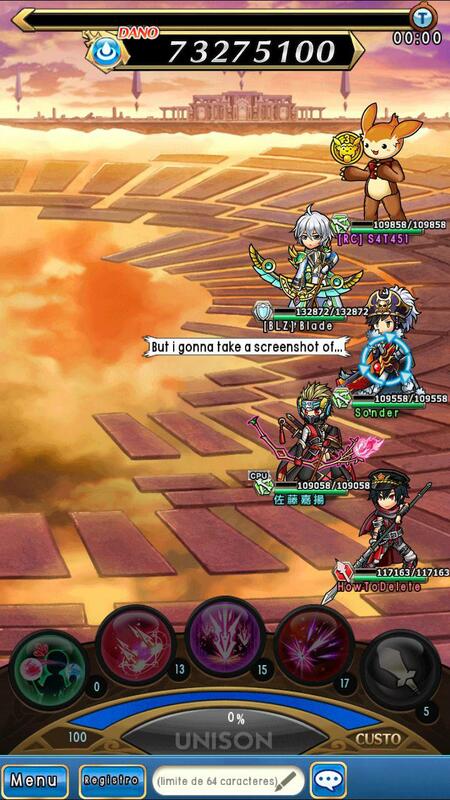 Were the major server crashes that happened over the weekend low key caused by you to let us know it’s no longer worth grinding Collab? We’re the crashes a prelude of the mayhem to come where the servers will crap out 5 hours before the end of the event because everyone that’s been hoarding 2019 keys will try to run them all during the last 5-1/2 hours? There is more than just 26 cost items in it. Out of all the items I got from my ticket, only 1 was 26 cost, all the rest were 27 cost. As Guruanu was able to get 27C items from this, I'm not going to escalate this. If more people say they are only getting 26C, I'll look into this. My mistake, the wep series is 27, not 26 like I thought. * Casts Emaciated Collapse on the enemy Field for 60 seconds. I'm not sure if this is an intentional change, but Japanese UL's Raphaela and Archangel Raphaela have them. 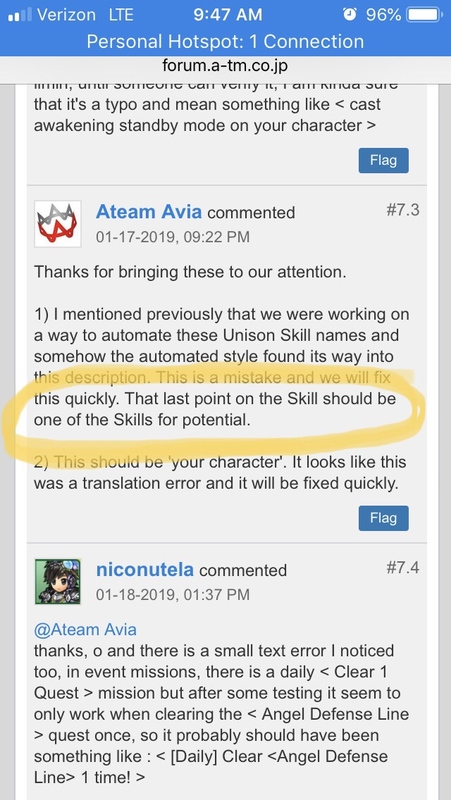 EDIT: Apparently a friend (Thanks Match-i) tested for me and they're working as intended and have the Collapse Effect, it's just that it is not in the Skill Description. Also while you guys are at it, can we have the extra "." 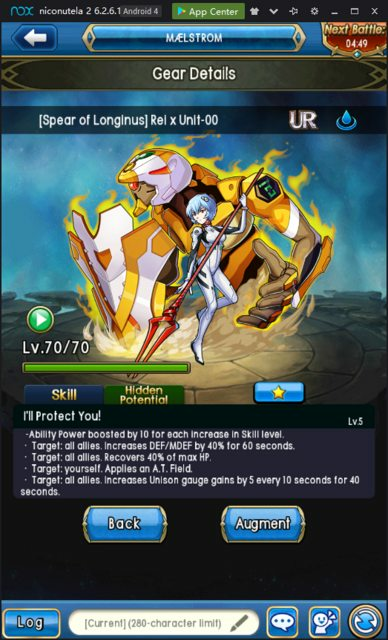 removed on Archangel Raphaela's Skill Description? Thanks in advance! * Casts a buff on all allies that fills the Unison gauge by 5 every 10 seconds for a period of 60 seconds..
Last edited by TaikunZ; 01-17-2019, 10:59 PM. Will look into these now! Last edited by [MOD] Marc; 01-19-2019, 06:39 PM. Reason: Please use the appropriate BBCode for image posting. Thank you! 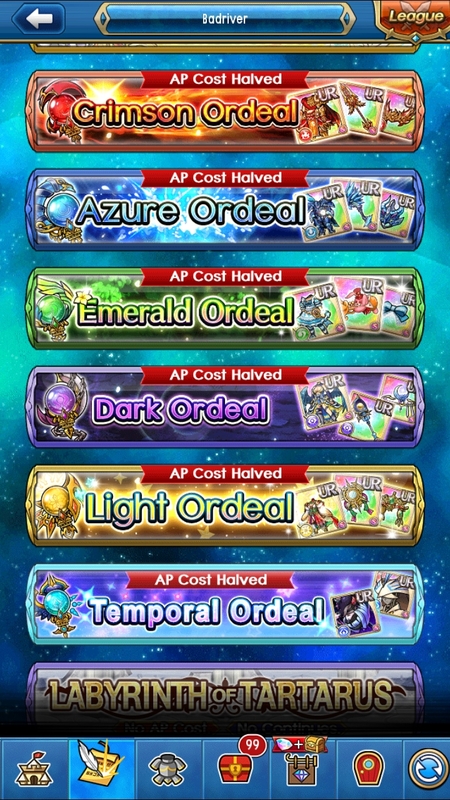 We're going to get this fixed and AP compensation will be issued later. 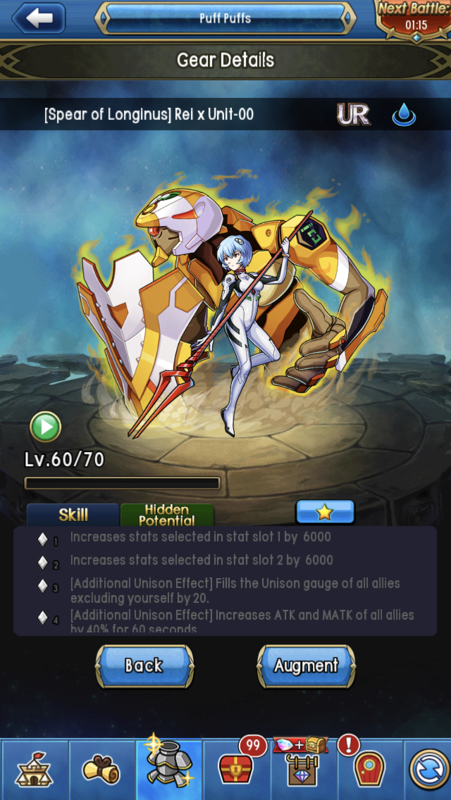 Praying to RNGesus... || I gave up on colo! I just looked into this. It appears that those 31 and 32C Monsters shown in the pool were set to 0% chance to be Spawned. (The person who made the Spawn tried to save time by copying the pool from another Spawn and then just setting those to 0 percent, so they don't Spawn, but they hadn't thought as far as they would show up in the pool. I checked the guaranteed slot pool and there were only 33 and higher in there. We're going to make sure they are no longer displayed in the pool. I've tried restarting my phone and my router. I've also tried to use different internet connection but it is to no avail. I believe this has something to do with the game as i can play other online game on my phone perfectly fine. Just got patched. Thank you. Cannot load Unison League, because there is no connection to wifi. even tho i have connection to wifi. stuck at the title screen, click and it loads a bit then goes back to the title screen, click again and it black screens until i have to close the app. ive been trying since about 2:01 this morning. ive restarted my phone and everything. i cannot connect to UL. We're still trying to fix the connection issues. I'll update you all when I have more information.